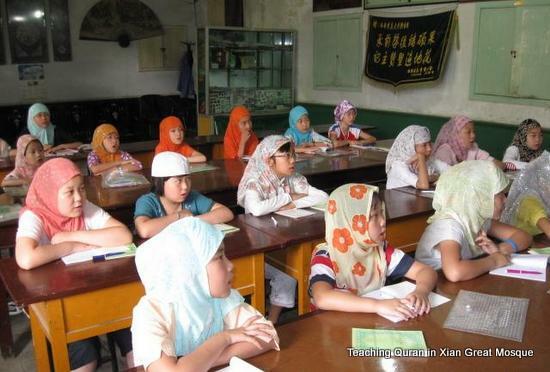 Overall there are two kinds of Islamic educations in China. The first kind of Islamic education is called Mosque Education (Jingtang Jiaoyu in Chinese) and the second is Islamic School Education. 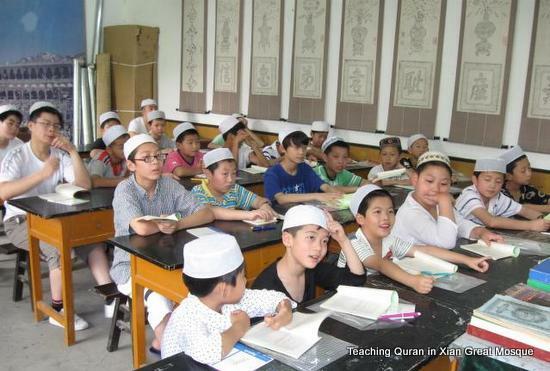 Islamic education in China started from mosques in China and it is the most common way of Islamic eductiona now in China named Mosque Based Education. Mosques usually organize teachings on Islam and this kind of teaching is called Jingtang Jiaoyu (jingtang means the hall of Quran and jiaoyu means education). According to statistics by China Islamic Association, there are currently over 35000 mosques all over China. Most of the mosques run both long term teachings of Quran and short vocational training of Quran during summer and winter vacations. Mosque education in China has very history. 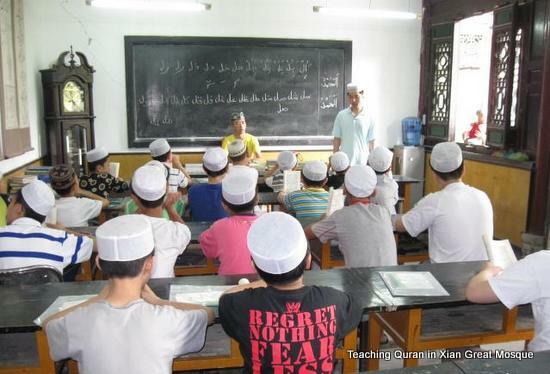 Since Muslims lived around mosques and there were hundreds of thousands of mosques all over China, mosque education had been the most common way of teaching Quran and educating Muslims in China. Students were taught Arabic, Persian languages and Quran and Islamic knowledge by Ahong (Imams). Mosque Education is open to all Muslim students. A Mosque provides free accommodation and tuition for any student who comes to study. Imams also teach for free-Islamic schools set up in Mosques are the best choice for Chinese Muslims. Mosque education was initiated by a Muslim named Hu Dengzhou (1522-1579) in the Ming Dynasty. Since China is huge country, various schools of mosques teaching have been formed in history including Shaaxi school focusing on "Ilm al-kalam"and "Ilm al-Trafsir", Shandong school focusing on the 13 scriptures in Arabic and Persian, and on the study of Suffism, Yunnan school, which reformed the traditional mosque education and taught the scriptures in both Arabic and Chinese, Hezhou (the old name of present day Linxia in Northwest China’s Gansu province) school which concentrated on teaching "kitab Mishkat al-Masabih" and "Ihya ulum al-Masabih". Islamic School Education in China emerged in the 1920s and 1930s when China experienced dramatic change in social and educational systems. Traditional private home teaching was stopped and modern Western style schools were set up. Some Muslim intellectuals established modem Islamic education system by seting up Islamic schools successively in Beijing, Shanghai, Sichuan, Jinan, Yunnan, Ningxia and other provinces in China. Besides teaching on Quran, the Arabic & Persion languages, Science and Arts, Quran were all taught at those modern schools. After graduation from schools, some Muslim students were sent to Middle East for the further study of Arabic language and Islam in 1930's. 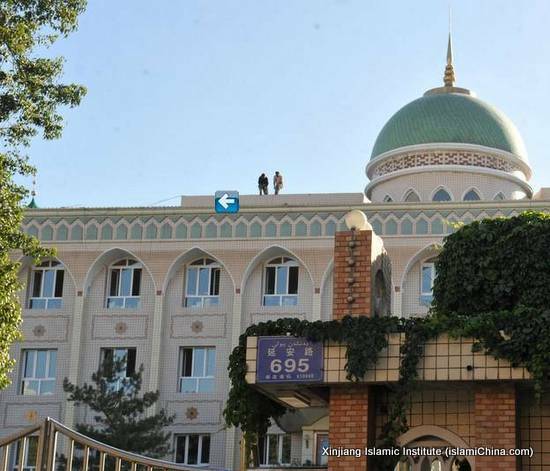 After the founding of the People's Republic of China in 1949, with the support of the government, The very first national Islamic teaching organization in China was established in Beijing in 1955 which is called China Islamic Institute under China Islamic Association. The courses of China Islamic Institute are composed of two kinds--Islamic courses and basic university courses. Like most universities and colleges, the institute recruits students from all over the China by means of national examination. 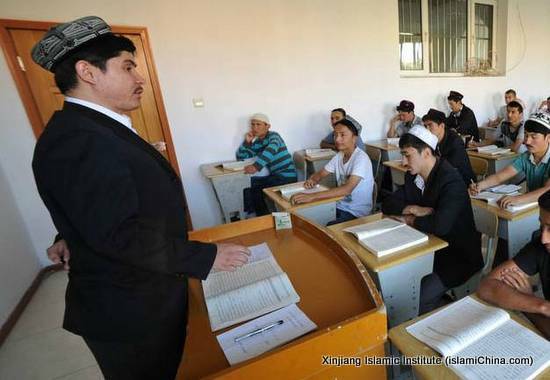 Besides history, geography, politics, Chinese, and other social science subjects, the students at China Islamic Institute also study Quran and course for Islam. Besides China Islamic Institute, other nine Islamic Institute have been established in China since 1980's, namely Beijing Islamic Institute; Xinjiang Islamic Institute in Urumqi; Shenyang Islamic Institute; Xining Islamic Institute; Lanzhou Islamic Institute; Zhengzhou Islamic Institute; Kunming Islamic Institute; Hebei Islamic Institute and Qinghai Islamic Institute.